Young women, most of them over the age of 20, who applied to join the Women’s Land Army from March 1917, were interviewed by a selection committee. The process involved assessing their aptitude for physical work and a medical examination. Those who were chosen and could demonstrate some previous training or experience would be sent directly to a farm which needed labour. 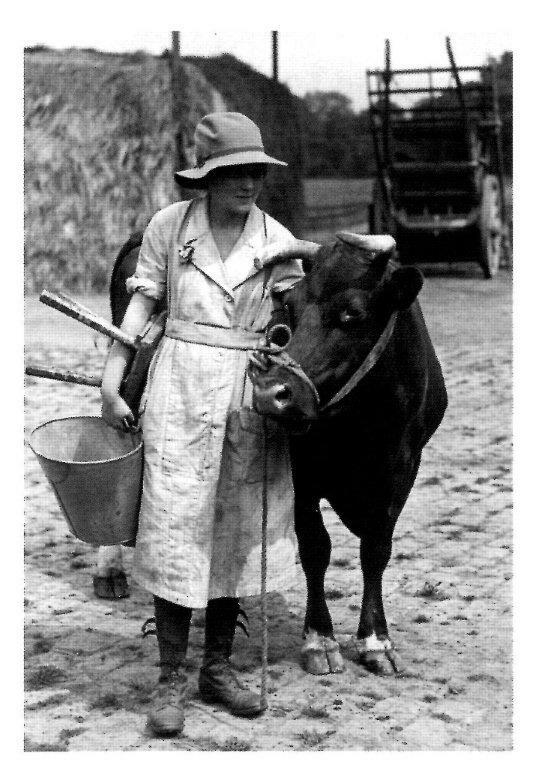 Untrained but ‘strong and healthy’ recruits were sent to a WLA training centre on selected farms around England and Wales. There were 247 of these training centres by September 1917. Training was undertaken for one of the three sections of the Women’s Land Army: Agriculture, Timber Cutting and Forage. 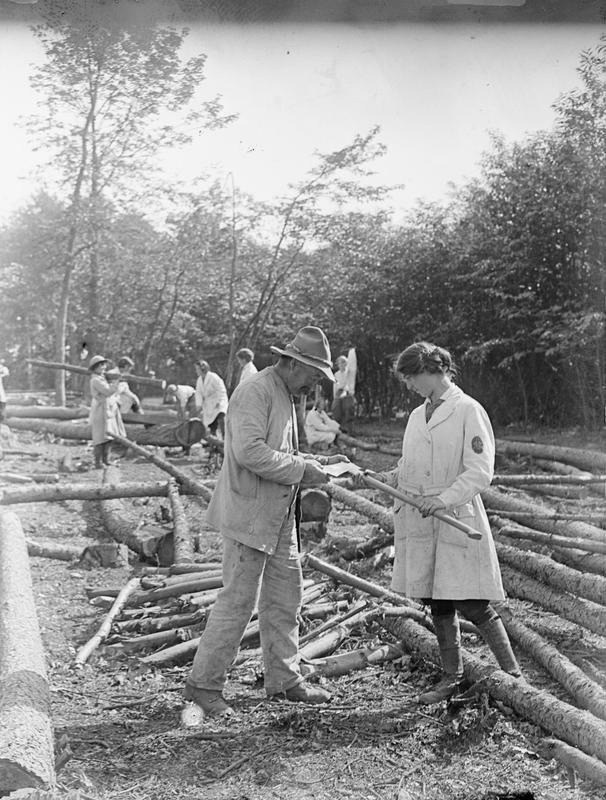 A member of the Women’s Land Army Forestry Corps is assisted by a man in fixing an axe in 1914. 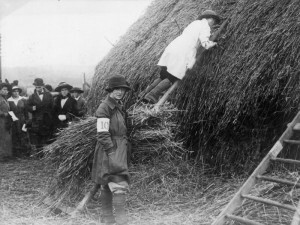 Members of the Women’s Land Army thatch a haystack in 1914.